MUMBAI: After Infosys' strong third-quarter results, investors are speculating if India's largest information technology services provider, Tata Consultancy Services, will surprise the Street when its announces its earnings on Monday. Analysts, however, are not expecting any major deviations from their estimates. Though Infosys' results took many analysts by surprise, they are not reworking their numbers for TCS just yet. 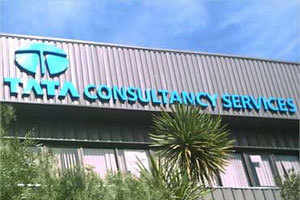 The average expectation of analysts is that TCS' revenue will grow 2.4 per cent sequentially to Rs 16,001 crore. On that basis, they expect net profit to slip 1 per cent to Rs 3,478 crore and EBIT (earnings before interest and taxes) margins to be flat or marginally lower. InfosysBSE 2.89 % had guided for back-ended growth with more growth coming in the third and fourth quarters, but TCS has always maintained that the third and fourth quarters will be weaker, said Ankita Somani, IT analyst with Angel Broking. Also, Infosys had warned analysts that events such as Hurricane Sandy in the US, cutbacks by financial clients and delayed decisions were hurting business, leading them to lower their estimates for the third quarter and full year. TCS, on the other hand, maintained it has been business as usual with the third quarter being traditionally weaker because of fewer working days. Brokerage Anand Rathi observed in a report that the TCS management was confident of surpassing Nasscom estimates on constant currency and expecting a normal year. "This is in striking contrast to what Infosys said in its commentary," analysts Atul Thakkar and Gautam Singh of Anand Rathi said in the report. But a few analysts said Infosys' good showing could be an indicator to a more positive demand environment. "When a large company like Infosys does better, it could be an indication of a fairly good FY14. This could lead to a re-rating of all IT stocks but that doesn't mean third-quarter estimates for TCS have to re-worked," said an analyst, requesting anonymity. Infosys surprised investors and analysts with its full-year outlook and quarterly results, leading its stock to shoot up 17 per cent on Friday on the BSE. TCS and Wipro followed the trend with their stocks closing 4 per cent and 6 per cent higher.